Misery from the Toronto and Vancouver housing markets is prompting many residents to consider leaving town. 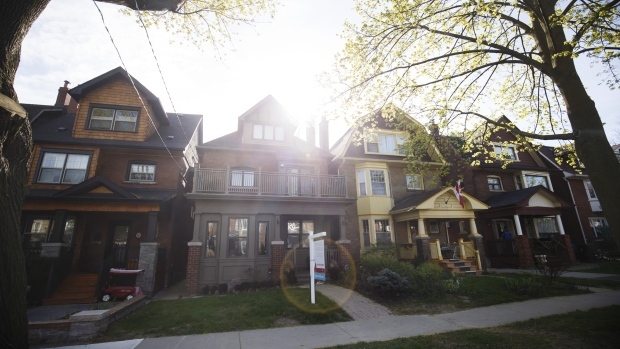 According to a pair of studies released Monday by the Angus Reid Institute, more people would classify their feelings about their cities’ respective housing markets as “miserable” than in a similar study conducted just three years ago. In Toronto, 27 per cent of survey respondents classified their housing pain level as “miserable,” up from 17 per cent in 2015. An additional 27 per cent stated they were “uncomfortable,” accounting for more than half the respondents between the two categories. The shift was less pronounced in Vancouver, where 22 per cent stated they were “miserable”, up from 18 per cent in 2015, while “uncomfortable” residents actually declined from 27 to 26 per cent. In both markets, however, the miserable appear to have had enough. In Vancouver, 81 per cent of the miserable said they were “seriously thinking of leaving” the city because of the cost of home ownership. About three-quarters of Toronto’s “miserable” population were considering taking flight out of Canada’s biggest city. Furthermore, Toronto residents had an added pain wrinkle when it comes to public transit, according to the study. More than half of the city’s “uncomfortable” population, or 52 per cent, expressed frustration with how long it takes them to get to work, adding that they can’t afford to move closer to the office. Among the “miserable,” that number is nearly three-quarters, or 74 per cent, of respondents. The study found that Vancouverites were more pessimistic about the damage being done to their city. More than half of Vancouver respondents, or 54 per cent, said housing prices are hurting the region ‘a lot’ as opposed to 30 per cent from the GTA.